The trio of hill sleuths responsible for promoting and demoting several peaks from baggers’ records have joined a list of their own: dull men. The three men are among a host of obsessives and eccentrics who figure in a new book, Dull Men of Great Britain. Myrddyn Phillips, John Barnard and Graham Jackson join a select band of men who variously collect beer cans, photograph traffic roundabouts or fight to preserve the apostrophe. The hill sleuths feature in Leland Carlson’s book Dull Men of Great Britain. Ebury Press, which has published the book, said the author is the assistant vice-president of the Dull Men’s Club, the club’s highest office. Also listed in the book is Rob Woodall, from Peterborough, Cambridgeshire, who joined Britain’s dull men by becoming the world’s leading trig bagger. He is on course to visit all 6,100 Ordnance Survey triangulation pillars in Britain. The bagger is currently 20 short of his target. The men known to grough as hill sleuths are described in Dull Men of Great Britain as the mountain measurers. 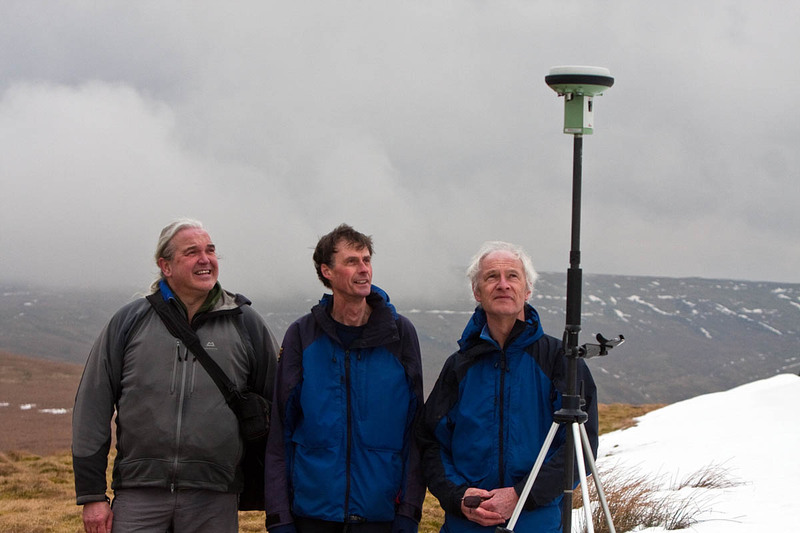 They spend their spare time lugging professional-grade global satellite navigation equipment to various hills in the UK to determine whether or not they measure up to their status as munros or any of the other hill designations. Myrddyn Phillips said on his blog: “This is where I plead my guilt as my collection fascination doesn’t start at hillbagging and surveying; it has its origins in my youth when an old coin, or beer mat or a new stamp was a prized commodity. “These collections and the passion of the people in this book are on a different scale to the collections of my youth, these people have a perspective of pleasure seemingly unquenchable by their goal of collecting. “The book also details the unusual activities that many may find hard to quantify or neatly file under a collector or a society. One of these unusual activities details the esoteric nature of three mountain measurers. “These quotes are factual, correct and very dull. Dull Men of Great Britain is published by Ebury Press, price £8.99.